Most Anglicans don’t often think about Mary, the mother of Jesus. 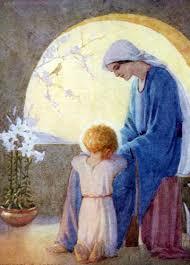 We meet her in the Advent story of the Annunciation, but at Christmas-time our focus is on the birth of Jesus. 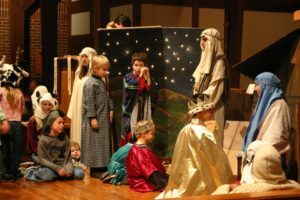 Mary tends to be rather a bit-player in typical Christmas pageants – the shepherds and the Magi usually get better parts. Mary just gets to walk to the inn with Joseph – often, she doesn’t even get a speaking part, no better than the sheep and the oxen! Outside the Christmas story, we meet Mary in John’s Gospel at the wedding at Cana (water into wine) and at the foot of the Cross. In the Synoptics she is part of the family who call for Jesus outside the synagogue (when he says that his disciples are his true family). She is also named among those who devoted themselves to prayer prior to the Holy Spirit’s arrival at Pentecost (Acts 1: 14). Do Anglicans pray to St. Mary? Today, the Feast of Day St Mary, she is the central figure. Protestants often think that only Roman Catholics have any regard for Mary, but although the Anglican Reformation removed the large number of minor saints from the medieval church calendar, it kept Mary, along with the twelve named Apostles, the four Gospel writers, and St Paul. But the Protestant Reformation made one incalculably important change – Christians are all worthy to pray directly to God, as Jesus explained when he taught his disciples the Lord’s Prayer. 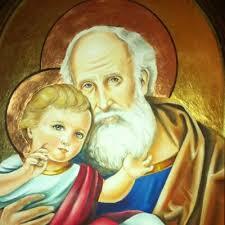 We do not have to use saints such as the Virgin Mary as intermediaries. 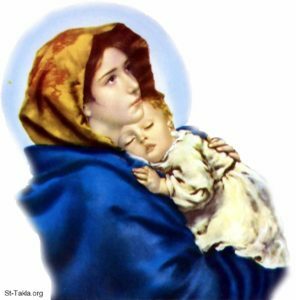 Devotion to Mary existed from the very beginning of Christianity. Justin Martyr (~100–165) called her the Second Eve. 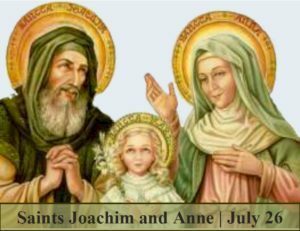 The early Church furnished Mary with a legendary family; an angel promised her parents Anne and Joachim that they would have a child after years of childlessness. In return, Anne promised to dedicate Mary to God, parallel to Samuel’s dedication to God by his mother Hannah in the Old Testament. The doctrine called the Dormition (falling asleep) of the Blessed Virgin Mary is the belief that the Virgin died without suffering, in a state of spiritual peace. 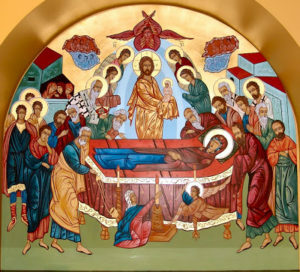 [Our sister Romanian Orthodox Church is named the Dormition of the Blessed Virgin Mary.] In her book Revelations of Divine Love, written in the 14h century, Julian of Norwich wrote that God shows us the essence of what motherhood is all about. She wrote that since the Blessed Virgin Mary was the mother of our Saviour Jesus, so she must be the spiritual mother of all who believe. After the alignment of the western Church with Rome, Church Councils specified several doctrines about Mary required of believers. These included her virginal conception of Jesus (First Council of Nicaea, 325); her name as the “God-bearer” (Theotokos, Council of Ephesus, 431); and her perpetual virginity (Second Council of Constantinople, 553), despite the clear Gospel evidence that Jesus had brothers and sisters, one of whom, James the brother of Jesus, became the leader of the emerging Church is Jerusalem. The Roman Church fudged this by claiming that these were actually step brothers of Jesus from an earlier marriage of Joseph – hence Joseph’s portrayal as an old man in Renaissance art. These doctrines have the effect of portraying Mary as sexless – and therefore no threat to the emerging male hierarchy of the Church. 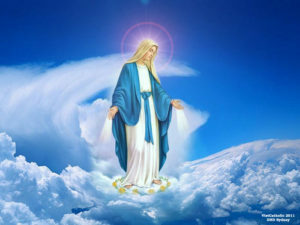 The doctrines of the Immaculate Conception (that Mary was free of original sin from the moment of her conception), and the Assumption (that upon her death Mary’s body and soul were taken into heavenly glory) were long known in popular piety. Only recently (1854 and 1950 respectively) were they made required Roman Catholic doctrines. Most Anglicans take these two dogmas as pious beliefs or legends, without Scriptural foundation. The Assumption contradicts early Christian texts claiming that Mary’s soul was carried to heaven, but her body has been preserved until the ultimate resurrection. I imagine Mary as a much stronger personality than this milk-and-water figure. At the time of the Annunciation, she would have been young, because in those days marriage and family occurred early in life. She was seriously at risk of being stoned to death in her culture, being pregnant and apparently unmarried. Yet Luke’s Gospel portrays this young woman as the one who said “Yes” to the angel, despite her initial hesitation. Our first reading was an extract from the Book of Judith, which recounts the story of an unambiguously strong woman. Judith was a daring and beautiful widow who criticized her Jewish compatriots because they did not trust in God to save them from the Assyrian army. She and her maid went to the camp of the enemy general, Holofernes pretending to spy on the Israelites. 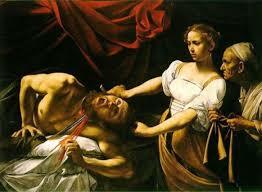 One night, Judith went into Holofernes’ tent as he lay in a drunken stupor. She took his sword, and cut off his head, which she took back to her countrymen. The Assyrians lost their leader, and Israel was saved. Her prayer, from which we read today, carries echoes of the Magnificat in praising God’s might and care for the lowly and oppressed. What can we learn from these Faithful Women? Judith was a widow, a mature woman, Mary a frightened young girl who could have had no idea of what God’s calling might involve when the Angel Gabriel first said to her, “Greetings, you that are highly favoured”. No wonder she asked herself what manner of greeting this might be! We at St. George’s are also called to be holy, to be faithful like Mary to God’s calling. Like her, we continually have to try to discern what it might mean for our parish to follow God’s calling. Saint Mary – that is Holy Mary – has always been associated with a special degree of holiness. She is not venerated for being a good person in the conventional sense like keeping the Ten Commandments, but for her faithfulness in following what she believed to be God’s will. So also for everyone in our parish. In a secular world, the people of this congregation are holy not for being nice people (even if you are), but for coming to St. George’s Sunday by Sunday when the world around places little value on matters of faith and spiritual practice. Mary the mother of Jesus has been loved and venerated by ordinary Christians through the ages. Like Mary Magdalene, whose feast day we celebrated last month, she is a feminine presence in a Church most of whose images are male – God the Father, male apostles, male human Jesus. The late Anglican Bishop of Birmingham (UK) said about Mary, “Christians rightly honour and venerate her as one of the great saints [whom] God had signally honoured by choosing her to be the mother of Jesus.” As we celebrate her feast-day, I ask you to recognize her central importance as one who was faithful to God’s call.